Appreciation: 8/10. Nice views of the harbour from unusual angle. A quick and easy hike to nice views and old WWII bunkers. Transportation: Yau Tong MTR exit A1, there and back. Walk towards Lei Yue Mun road. About 500m of slight ascent on the road leading to the cemetery, you'll see a sign for Maclehose. You will be walking around devil's peak for a while and by the cemetery. You will have a good look of the peak on your left. Once you get here, turn around and retrace your steps around the peak. You can cut through the wood or keep walking and take path to the right. Almost at the top. WWII barracks. Devil's Peak stands at 222 metres in height. To the east of the peak lies Tseung Kwan O and Yau Tong lies to its west. 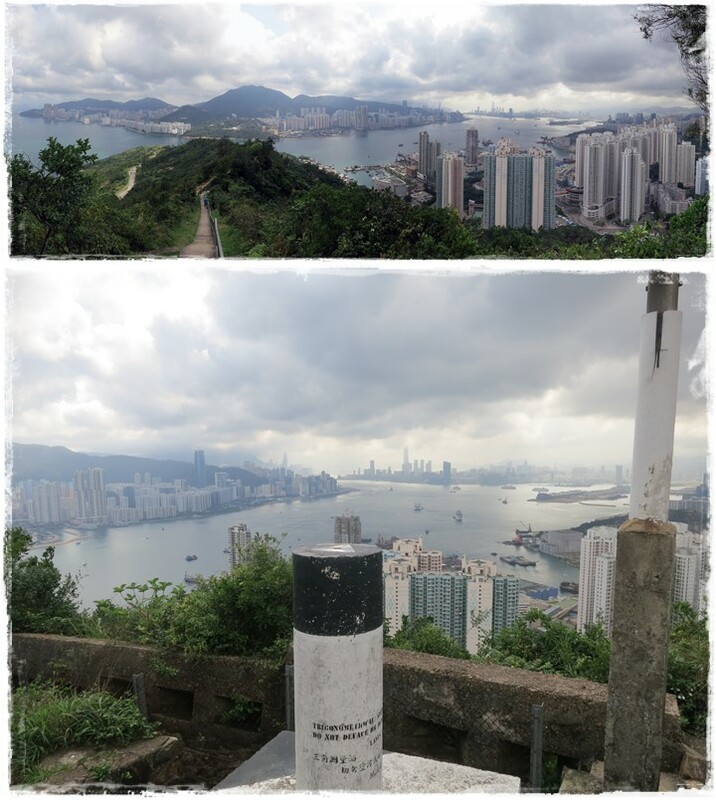 The area around the peak was garrisoned by the British Army or local pirates to control the passage of Lei Yue Mun, which is an important nautical passage in South China. The remains of a redoubt and batteries are still visible on the peak. Great views. When your done. Head back down. Hiking is about communion with nature. So please pickup after yourself. There's no excuse to leave plastic bags, water bottles or any rubbish on or around the trails; if you managed to bring it, you can manage to bring it back!